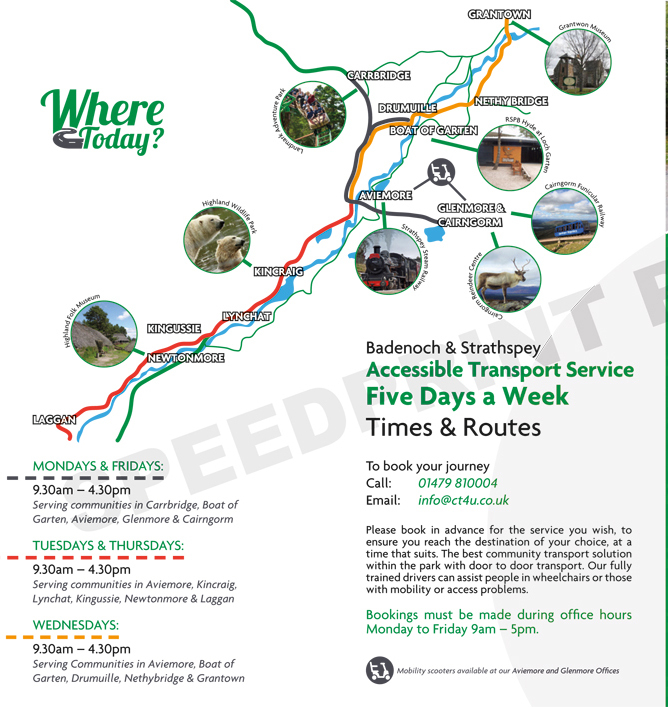 REGISTERED BUS ROUTES – Five Days a Week! Operating 9.30am – 4.30pm, Monday to Friday. 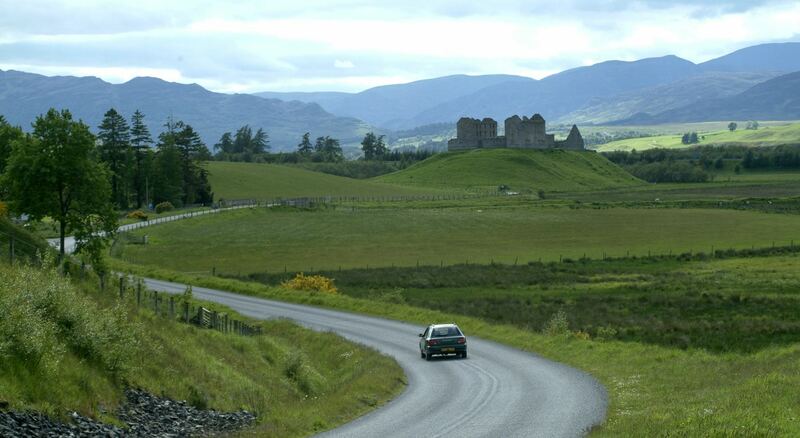 The transport routes pass many of the area’s superb visitor attractions, such as The Highland Wildlife Park, Strathspey Steam Railway, Grantown Museum, RSPB Osprey Hide at Loch Garten, Landmark Adventure Park, Highland Folk Park and the Cairngorms Funicular Railway, to name a few. Contact Where 2 Today here.